I'm trying to add layer normalization (in the encoder-level) to the Listen-attend-and-spell model for speech recognition tasks. 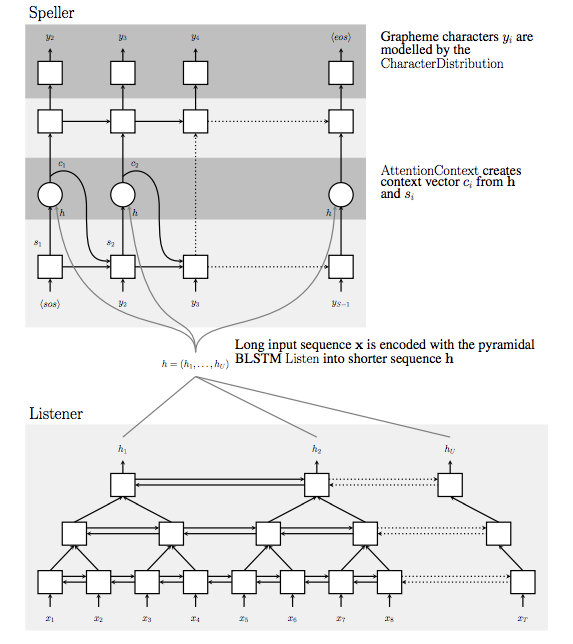 I have used LayerNormBasicLstmCell to enable the layer normalization in the gates of my lstm cells. I have tried layer normalization between the layers of the encoder and without/with applying it to the LSTM cells. Knowing that all these experiments failed, I'm asking you people to share your best practices of doing layer_normalization in sequence-to-sequence models. For further details, I attached here the architecture of the listen-attend-and-spell model. What is the purpose of the scaling factor used in dropout? Why is dropout causing my network to overfit so badly? How is Spatial Dropout in 2D implemented? With an LSTM, with training samples on 0->250, should it be able to extrapolate to unseen data(e.g. 250->500)?